Melinda and I have very similar design styles so it was an easy pick for me. I love her layout and the colors she used, it's perfect! Although I loved her color choices I chose to go with a little more neutral palette to fit my picture. Some of the reasons I chose her layout were the clean simple design and I really liked how she did the circles drawing your eye from the top to bottom of the page. Such a great design. Melinda added way more detail and embellishments to her layout which I also really liked, however I chose to keep mine a bit more simple to fit my style. I think that even when using an inspiration layout or sketch it's important to always try to keep it as true to you as you can. I added my journalling and title underneath of my pictures to keep the focus on them. I always find that pulling out a sketch or other layout is an easy way to break me out of a scrap funk, it allows me to easy back into my creativity and get the ball rolling again. How do you solve your scrap blues? Do you use Pinterest for inspiration? Stephanie, I love your take on Melinda's layout. Both layouts are so beautifully done. 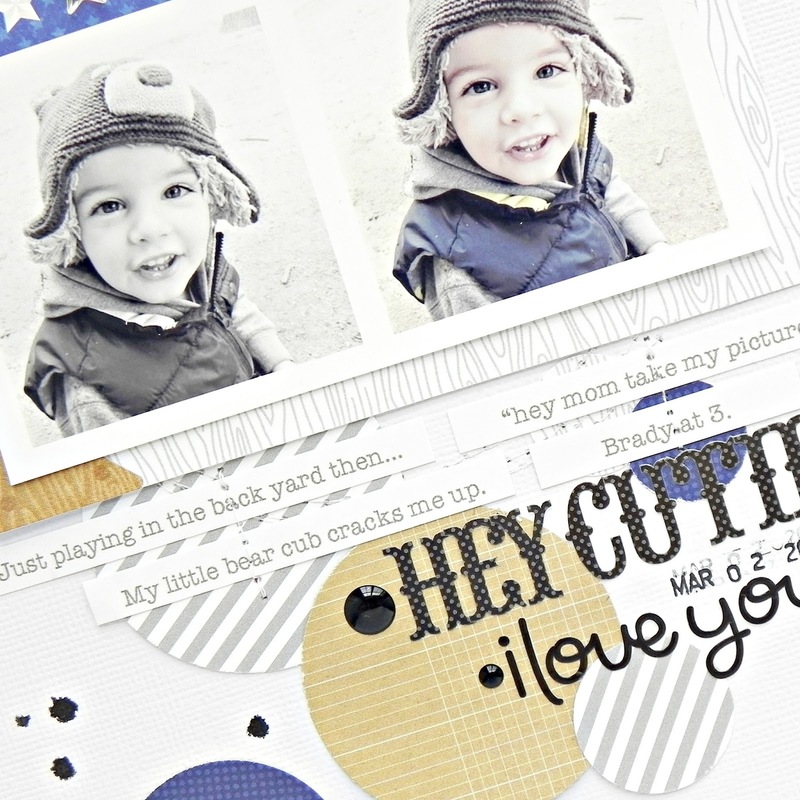 OMG Your LO is awesome....I love totally what you created using your picture and it was fun to see what you inspiration was and love your ideas and concepts of it all. Love your pic and it is fun to do a black & white and a color of the same pic. I just love all of your creative ideas and your story to go with....keeping it true to your lifestyle it is important that you do this and I love the paper and colors just an outstanding creative job...and love how you scrap! Great layout and such fantastic colors for a boy layout!! Way to go - you did a marvelous job!!! 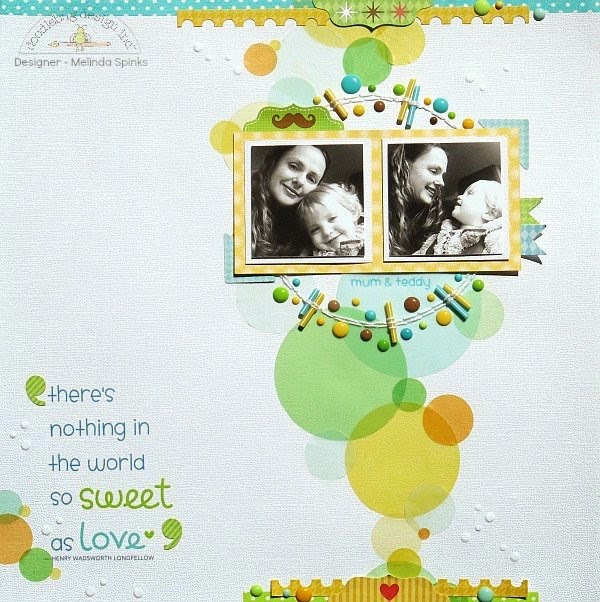 DELIGHTFUL layout Stephanie - LOVE your colours and design, I can see why Melinda INSPIRED you => YOU BOTH INSPIRE ME!! !